It’s hard to summarize these two, lengthy masterpieces. A simple explanation is that they tell the story of an American military family, the Henrys, leading up to and then during WWII, respectively in “Winds” (Part 1) and “Remembrance” (Part 2). Upon finishing the first book, I had to read the second; upon finishing the second, I was sad there wasn’t a third. I didn’t want to leave the characters behind. I’ve read a lot of fictional accounts of WWII, but none have given me the visceral reactions that Wouk’s stories delivered. I felt transported to the fall of Warsaw, had my life as a pilot flash before my eyes, and endured horrific transport to Auschwitz. Wouk’s writing is that powerful and poignant. It made me hold on through Pug Henry’s “translation” of German war strategy. I felt that device is kind of wedged in, and I much rather preferred when Wouk ingeniously weaves history and strategy into the narrative. I learned so much, especially about Roosevelt and American policy, but also that there was a “model” concentration camp outside of Prague. The atrocities that humans inflict and endure are not only harrowing and fascinating, but demanding of storytelling. 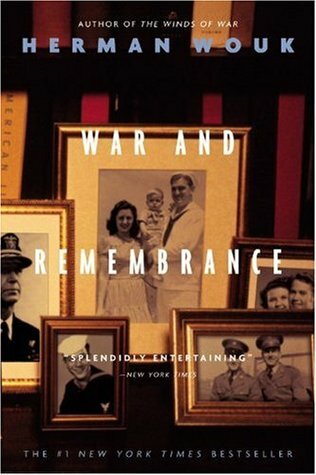 These books help synthesize and analyze WWII so that we won’t forget. 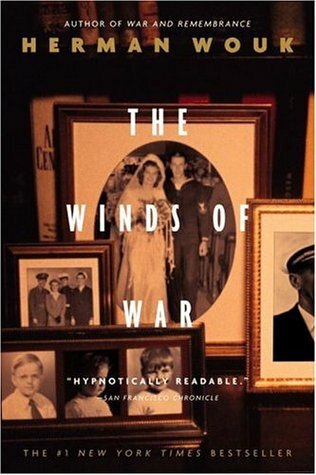 This entry was posted in I Read and tagged book reviews, books, herman wouk, reading, reviews, the winds of war, war and remembrance, WWII. Bookmark the permalink.